For this summer's Olympic Games in Rio, 13 posters have been selected to represent the event. The 12 chosen Brazilian artists are Gringo Cardia, Antônio Dias, Gustavo Greco, Kobra, Guto Lacaz, Rico Lins, Juarez Machado, Alexandre Mancini, Beatriz Milhazes, Gustavo Piqueria, Ana Clara Schindler, Claudio Tozzi. Olga de Amaral, who has created Umbra A- Rio, is the only non-Brazilian artist commissioned to design a poster. 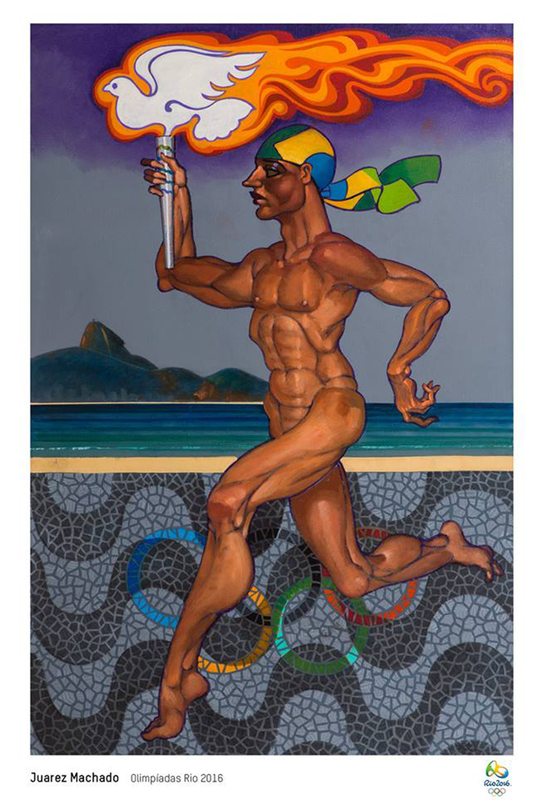 The posters will be displayed at Deodoro Olympic Park for the duration of the games. At the closing of the games they will be distributed to Rio's schools.